Germany assesses the advantages of small battery systems. The potential for many thousands of battery systems to act as a grid stabilizer has been highlighted at a renewable energy storage conference underway this week in Berlin. The distributed storage solution has been touted as cost-effective, as it mobilizes low-interest investment from private households. A series of presenters at the 8th International Renewable Energy Storage Conference (IRES), in the German capital, have set out how distributed storage can help “unload the grid” of PV generated electricity. The solution is not only cost-effective, but can also deliver high levels of self-consumption and be optimized for battery life. It was acknowledged by presenters that the cost of batteries (in the case of lithium-ion) and their performance (in the case of lead-acid) still leave much to be desired. Others, however, counter that a fast price digression is taking place with the help of storage technologies. Former head of Western Australia’s Sustainable Energy Association and current government lobbyist Ray Wills argues that the current payback for battery systems installed in most Australian households is around nine to ten years. He expects that to drop to five years by 2015. Driving the price drop is a build-up of manufacturing capacity similar to that which occurred with solar panels. With batteries, the demand for production is coming from the e-mobility and electronics market -- in particular with laptops and smartphones. Aachen University’s Dirk Uwe Sauer echoed these sentiments at the IRES conference, arguing forcefully across a number of sessions that while battery storage is expensive at present, incentive programs should be in place to deliver cost-reducing economies of scale. Sauer also said that the role of distributed battery storage as a grid stabilizer is also underappreciated. Batteries can absorb PV-produced electricity at peak production times and discharge during periods of high consumption. “This saves money for all of us by reducing the need for grid expansion,” said Sauer. 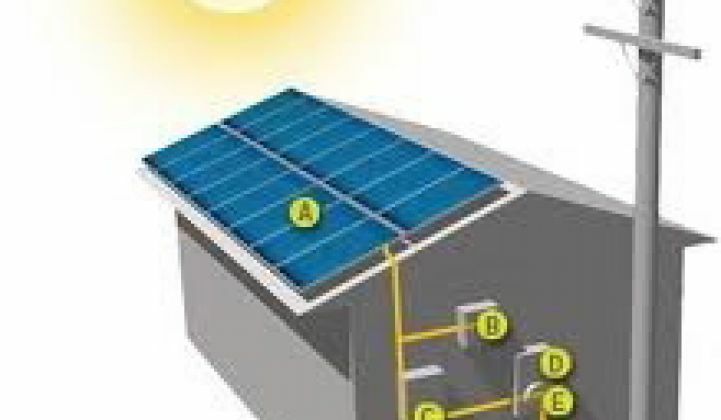 Battery and inverter systems can be set to reduce the amount of PV being fed into the grid by around 40 percent of peak production, although other presenters made the case that that level can actually be increased to as high as 75 percent without adversely affecting the financial or technical performance of the battery. Sauer said that this solution would be relatively straightforward, requiring software to be added to systems, rather than additional hardware, such as grid-level storage or grid expansions. The cost of capital for installing many thousands of small battery systems would be much less than that required to build large grid storage, argued Sauer. He also said that from a German perspective, grid instability caused by intermittent solar production occurs on the country’s low voltage network. Therefore, Sauer argued, it is better to solve the problem where it occurs, on the low voltage network itself. Many private households would be happy to install a battery in their home in tandem with their PV system, even with an expected ROI of only around 3 percent. In contrast, argued Sauer, institutional investors, which are required to fund larger storage projects or grid expansions, would expect returns of around 7 percent to 10 percent. “If we can activate the investment from the people, at these low interest rates, we can all save,” said Sauer. Since May 2013, Germany has had a subsidy for residential battery storage systems. Known by the acronym KfW, the program was heavily criticized by some presenters at the IRES. Under the KfW, which essentially provides cheaper finance for households installing solar batteries, households are required to limit grid feed-in to 40 percent of the peak performance of the system. Jonathan Gifford is an Australian clean technology journalist, based in Germany. You can follow him at @jonogifford. This article is reposted in its original form from RenewEconomy.